"Running out of money? 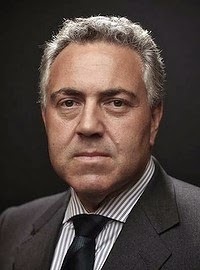 What an incredibly stupid thing for Joe Hockey to say. The Health cost for the nation is set to increase from $65 billion to $75 billion in three years and this is the reason he says we are running out of money. Really? After what we have witnessed from this government over the past six months I think it’s time Joe realised we are now less likely to fall for this kind of emotional hysteria without hard evidence. We live in an educated society. Unlike the days of Robert Menzies where the ‘reds under the beds’ tactic of the Liberal Party was played out so successfully, today our politicians need to be reminded that we are a thinking nation. Well, most of us."